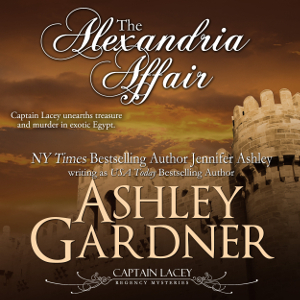 I think I have settled on the publication date for The Alexandria Affair, one that will give me time to write it! The pub date will be Tuesday May 17, and I will get pre-orders going as soon as I can. Now, I need to start thinking about a title for the book after that. Lacey will be back in London for Book 12, though possibly heading to the Breckenridge estate (which now belongs to young Peter). Must ponder. For those who enjoy the audio books, Covent Garden Mystery will be coming soon. More when I know more! 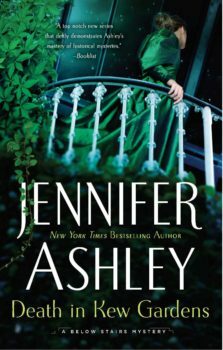 For Kat Holloway (A Soupçon of Poison) fans, my agent is shopping the series, and I’ll of course let you know more when I know it myself. Many wheels are turning on my end, which will end up in more Captain Lacey and Kat Holloway for you very soon! 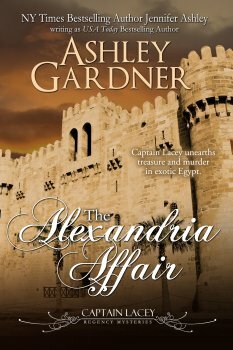 I have loved the Captain Lacey books since I picked up the first one. I loved Kat Holloway as well. So glad to hear that the series will continue!